On Sunday night, Chris Sale became the first White Sox pitcher to strike out at least 200 batters in four consecutive seasons, running up 12 strikeouts over eight innings. It was the 34th time in his career that he’s struck out more than 10 batters in a game. He did so on the way to his eighth loss of the year—a loss that brought the Sox’s elimination number to just six. That win-loss record are essentially meaningless for judging a pitcher’s individual value is a well-accepted fact of modern baseball analysis. And 15-8 isn’t even that bad. It’s easily the best on the terrible team! But still. The ineptitude around Sale—in the bullpen and in the lineup—is costing the clearly dominant young pitcher tangible markers of recognition and the chance to pitch in meaningful games. Sale has finished in the top five for Cy Young voting in each of his five years in the White Sox rotation. During that time he’s yet to win more than 17 games, which he did just once in 2012, and he’s yet to take home the award. There’s not a simple line of causation here (Clayton Kershaw won in 2013 with a 16-9 record—and a 1.83 ERA), but the lack of run support has kept Sale chronically underrated. 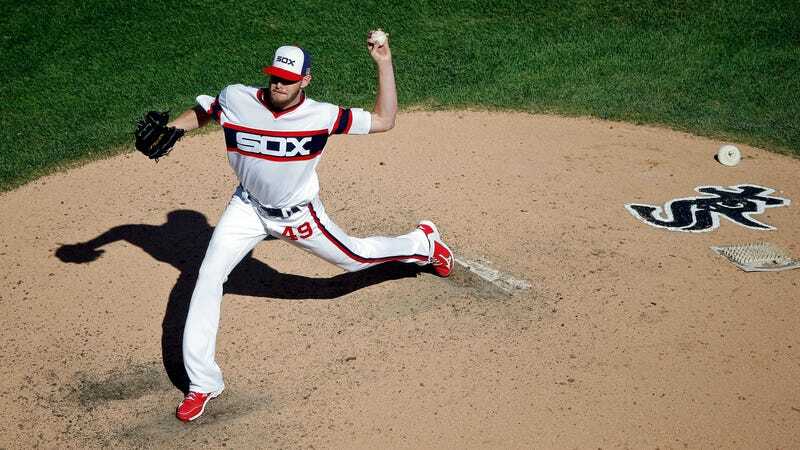 This year, finally, Sale has been a part of Cy Young discussions since early in the season. But one of the reasons it feels like he’s been a dark horse his until now is that no one has had cause to pay much attention to the White Sox. And frankly, they still don’t, which only makes Sale’s current acclaim all that more impressive. The Sox have yet to make the postseason at any point during the 27-year-old lefty’s seven-year major league career, finishing as high as second in the AL Central but never once making a serious playoff run. Sale’s dominance has been commendably consistent—he’s been in the top four among pitchers in WAR the past four seasons—but the White Sox have done little to build around him. At this point, fans should be frustrated: The White Sox are wasting a perennial Cy Young contender with lousy teams. And Sale should be frustrated, too. The 13th overall draft pick in 2010 has out-performed what was expected (at least endurance-wise) of the wirey southpaw, with little to show for it. Chris Sale Is Great. The White Sox Are Still The White Sox.